What are Eu2P course formats? 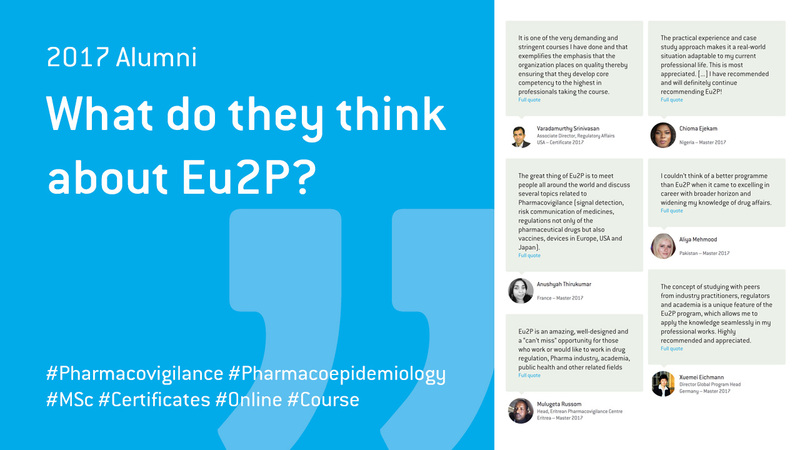 What does Eu2P eLearning look like? Browse the Eu2P training programmes offer by Drug Safety course domains. Follow the guide! We help you to select the right training programme according to your current status. Read what other people like you think of Eu2P... Follow the guide! Eu2P is dedicated to providing training programmes that are flexible, cost effective, adapted to professionals' profile needs and quality inspections . 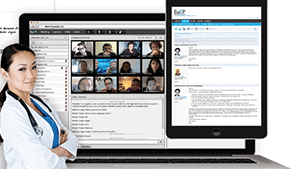 Discover Eu2P online learning for our Master, Certificates and Short Courses! What is required? How to access the Eu2P eLearning platform? What do online learning activities look like? Check our eLearning guide page for a video guided tour and student testimonials! Do not forget to register by March 24th for the following 3rd term certificate courses! Gain fast and solid expertise in Drug Safety with Eu2P online Short Courses: bite-sized courses to cope with very specific training needs and limited study time. Either pick one Short Course or build your highly personalised training programme and get certified! 2016-2017 students have now completed their studies. Read what they think about their Eu2P training experience! 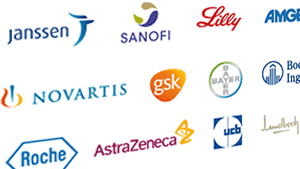 Eu2P training programmes have been designed by a unique consortium of Universities, Regulatory Agencies and Pharmaceutical Companies. This unique network has brought and invited the best experts from world industry, CROs, health authorities, professional societies and media to widen understanding, emphasize cultural specificities and therefore meet the job market needs. Eu2P has designed flexible modular programmes to ease access and study progression for people with limited time availabilities such as healthcare professionals. All Eu2P courses are delivered online so that students can access anytime from anywhere to learning contents and activities! Eu2P programmes delivers Master, PhD and Certificate diplomas that are jointly awarded by Eu2P academic partners and recognized by all Eu2P regulatory and industrial partners! 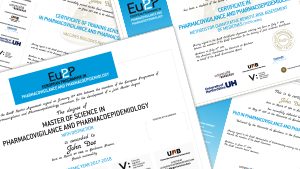 Eu2P also delivers Short Courses Certificates Of Achievement to demonstrate your Continuing Education progress. Excellent programme! Incomparable opportunity to learn from leading experts in the area. For students and professionals who want to build a career in Pharmacovigilance and Pharmacoepidemiology. I highly recommend Eu2P because of the well balanced mix of various perspectives that you can rarely find in other programmes.